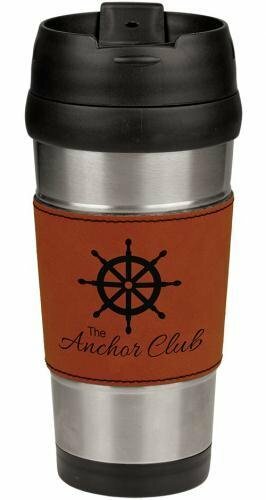 Available in black and 5 vibrant colors, this 14 oz. 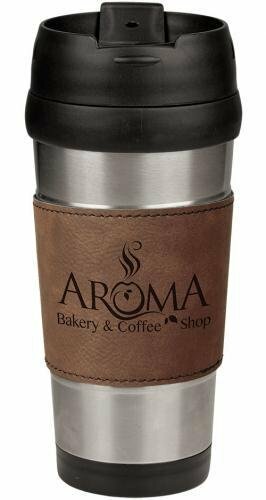 latte mug is a beautiful, practical item for promotions, incentives or personalized gifts. The mug is dishwasher and microwave safe, and personalizes to a brilliant white that with the white interior provides a stunning contrast. Hold heat in and spills at a minimum by adding either a white or black flexible silicone lid, sold separately. These 10 oz mugs are dishwasher and microwave safe and are available in seven vibrant colors. 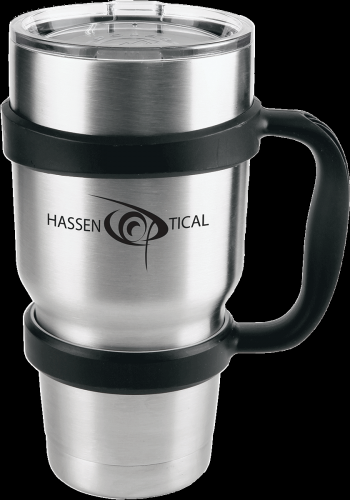 Personalized with your company or organization logo they are a great promotional item to get your information out there, or with a photo or other graphics, they make a practical, fun personalized gift. The white and silver mugs are black inside and personalize to black, while all others are white inside with white personalization. 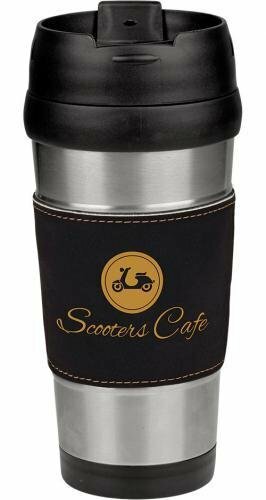 This attractive stainless steel travel mug will keep your beverage hot or cold while the leatherette grip keeps your hands comfortable. The grip can be personalized to gold for stunning contrast. 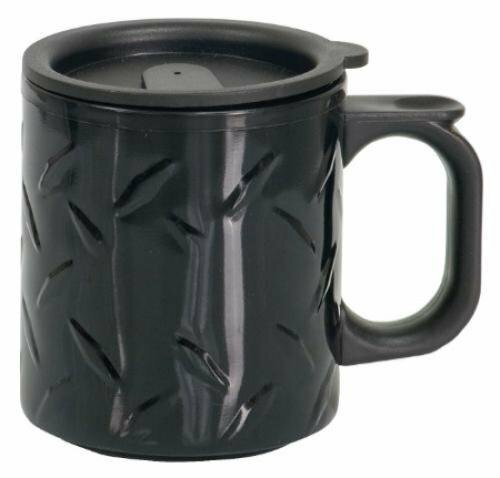 The mugs include a screw on lid with a snap closure to prevent spills. 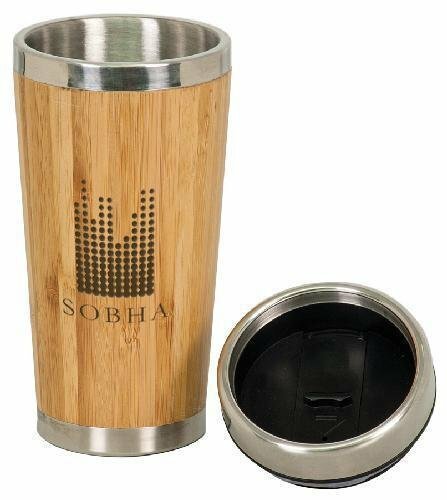 A great price for any budget, this travel mug makes a unique incentive, promotional item or personalized gift, or a practical keepsake to commemorate a special event or occasion.